You could say my household has divided loyalties when it comes to Saturday's Gonzaga men's basketball game against the University of Utah in a battle to head to the Sweet 16. The lady of the house is a Gonzaga professor, whereas, as my alma mater's school song goes, "A Utah man am I." We've both come to appreciate the other's team over the course of the last couple years of watching games together, and while I've often pondered how the teams would match up, I'm not too excited that it has to happen in the tournament. Both teams lost to Duke last year on the Blue Devils' way to the National Championship. So at least we can now share a hatred of Duke, right? Here's what all you Zag-loving hoops fans need to know about Utah, who beat Fresno State in the first round, going into Saturday night's game in Denver, happening at 5:40 pm Pacific time. 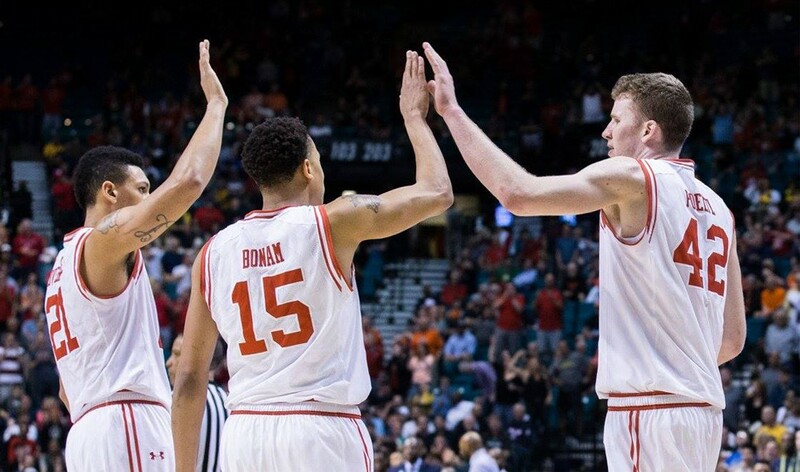 The basics: The Utes are led by Pac-12 Player of the Year, sophomore center Jakob Poeltl (pronounced like "turtle", despite any discernible "r" anywhere in the 7-foot Austrian's name). But while Poeltl rightfully gets the most attention, given his impending NBA career, Utah is a pretty deep team. Seniors Jordan Loveridge, Brandon Taylor and Dakari Tucker are all capable of bombing threes, and big men Kyle Kuzma and Chris Reyes help Poeltl down low. Point guard Lorenzo Bonam is streaky as a shooter, but he's lightning fast and can create his own shot better than the rest of the team. That doesn't matter much, because Utah is really good at sharing the basketball. They're also among the Top 10 in the country in field goal percentage as a team. Key matchups: This could be a great game when it comes to head-to-head showdowns all over the floor. The best is clearly Gonzaga's Domantas Sabonis vs. Poeltl, a matchup of potential lottery picks who both have excellent offensive and defensive skills. Sabonis is the more muscular of the two, while Poeltl has the more-fluid offensive game. Sabonis is better shooting away from the basket, while Poeltl is the better passer. Let's just hope the referees don't saddle either big man with foul trouble so we get to see a great showdown. Gonzaga's Kyle Wiltjer is a matchup problem for anyone thanks to his shooting range, and I imagine Utah will throw 6'9" Kuzma and 6'6" Loveridge at him, among others, in a group effort. Wiltjer has the ability to outscore anyone he faces off against, but he'll have trouble guarding those players when the Zags are on D. Virtually everyone except for Utah's centers is faster and more athletic than Wiltjer. His career so far shows us that doesn't matter very often, though. When it comes to guard play, it's a toss-up. Gonzaga's trio of Eric McClellan, Silas Melson and Josh Perkins will be tasked with shutting down the outside shooting of Taylor, Bonam, Tucker and Loveridge. Gonzaga's guards have played much better late in the season than a few months ago, and Utah's are relatively consistent, circling the three-point arc waiting for Poeltl to kick it out. Despite the Runnin' Utes nickname, the team doesn't fast break a ton, but they will if given the opportunity. Pretty even matchup in the backcourt, although Utah has a deeper bench if there are any injuries or foul trouble. The coaches: Both Gonzaga's Mark Few and Utah's Larry Krystkowiak ("Coach K," for sanity's sake) do more with less than bigger programs. Yes, Utah is in the Pac-12 now, but that's a relatively recent development, and when Coach K took over for the 2011-12 season as Utah entered that conference from the Mountain West, the Utes went 6-25. Three seasons later, they were competing for the Pac-12 title and making it to the Sweet 16. Despite losing an NBA first-round draft pick point guard in Delon Wright after last season, Utah is right back where they were a year ago, but with higher expectations. Few did arguably his best coaching job at Gonzaga this year, navigating the loss of center Przemek Karnowski and a tough regular season to still win the WCC tourney title, then take down Seton Hall. No real advantage to discern on the sidelines between the two top dogs. Gonzaga wins if: Wiltjer goes off and scores 20 to 30 points, Sabonis gets Poeltl in foul trouble or at least plays the center to a draw, and the guards take care of the ball. Utah wins if: Poeltl gets Sabonis in foul trouble, Wiltjer only has 13 points again like he did against Seton Hall, and Utah's guards take care of the ball and cut down on the 20 turnovers they handed Fresno State.